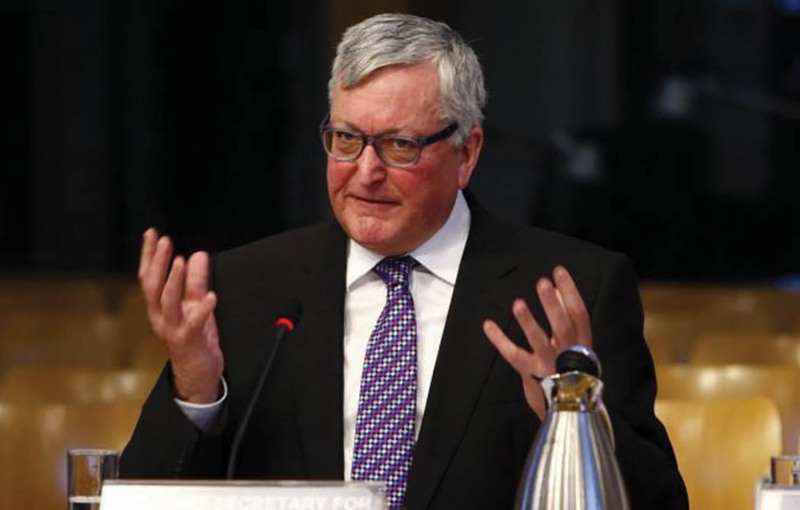 Rural Affairs Minister Fergus Ewing has promised Laurencekirk-based machinery and labour ring Ringlink a £39,000 grant to help fund its innovative intern scheme. Mr Ewing made the announcement at the annual SAOS conference in a bid to show his commitment to bringing new blood into the food and drink industry. Ringlink is the UK’s largest business ring, with more than 2,700 members. Mr Ewing said: “Ringlink’s pre-apprenticeship scheme has been great success, with over 80 per cent of participants deciding to stay in the farming industry. The intern scheme sees school leavers receiving a short induction course delivered by Scotland’s Rural College followed by up to six months of farm work with a mentor farmer. More broadly, Mr Ewing said he saw retention of the current agricultural and processing workforce as being a key challenge post-Brexit. “Free movement of people is of the utmost importance”, he added. “Meat processing plants cannot operate without Official Veterinarians (OVs) and currently 95 per cent of them are from the EU.